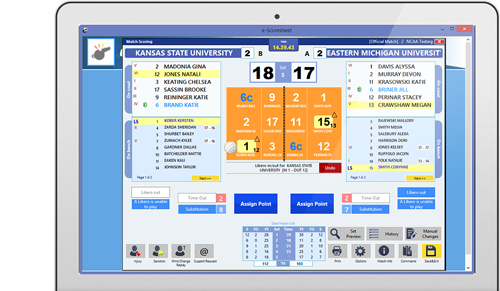 e-Scoresheet is the software that guides you to electronically record the match scoresheet in real time using automation, which limits the efforts of the Scorer. 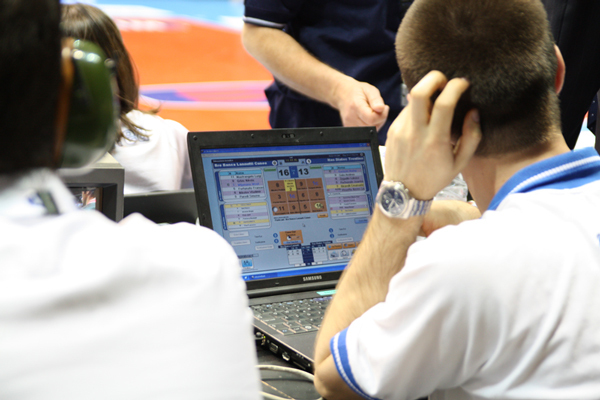 The software checks all potential situations that may occur at any specific time during a match and then suggests the next permissible actions that can follow, while excluding those not permitted. 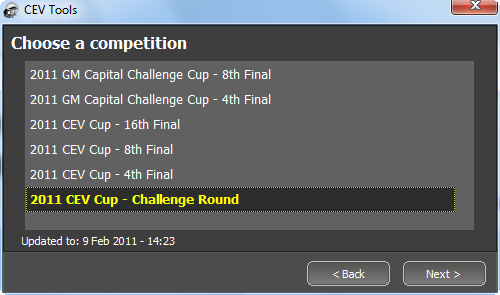 Assign points, record timeouts and substitutions. Manage the liberos, record sanctions, injuries and exceptional substitutions. At the end of the match the Scorer corrects errors and updates information, and then prints the scoresheets to be signed by the referees. 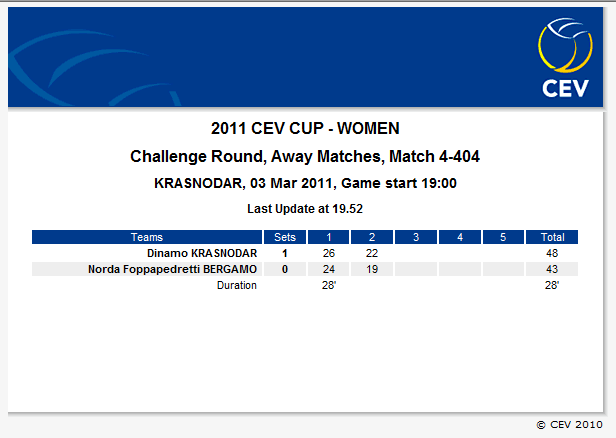 The scoresheets can also be saved to PDF allowing them to be easily shared by email or video exchange. 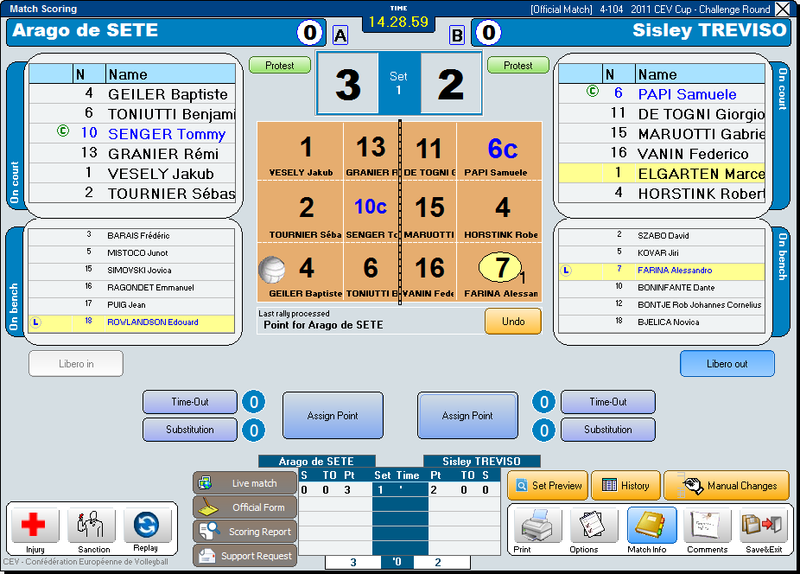 e-Scoresheet connects to the organization website in order to update the LiveScore; and when using the Web Service to automatically update the score and database. It is fully integrated with all other Data Project products creating a complete and interactive system. Real time transmission of the score to the website of the league or organization. 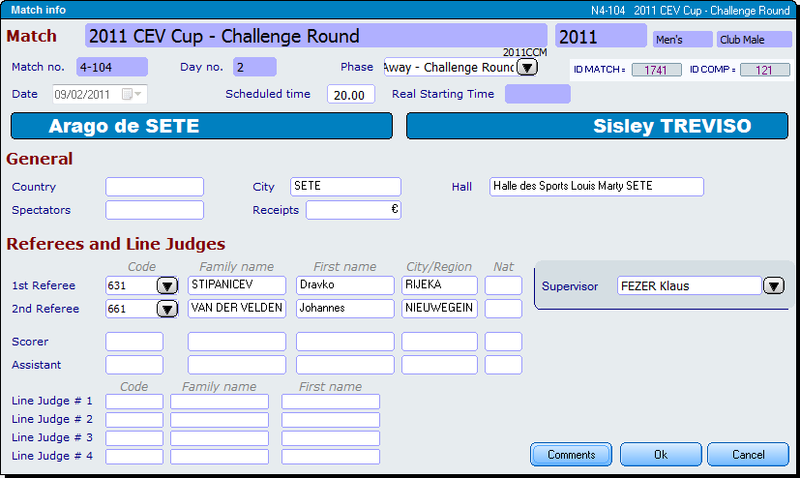 e-Scoresheet is fully integrated with Web Competition Manager, an interface specifically created for Federations and Leagues to interact with the main database. Data Video Essential: for the synchronization of the videos. Data Volley: to read the lineups. Volleyboard and LiteScore: for the official score. Scoresheet Referee: for the second referee. TV Score: for TV graphics.